Canada recently announced the roster that will be playing the England U20 side in Doncaster on March 27, 2016. 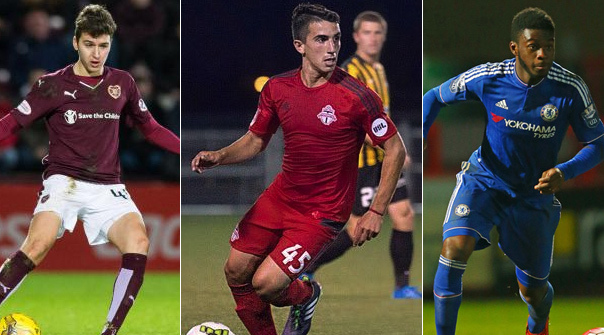 Although it might be premature to say this is one of the most exciting youth set-ups for Canadian Men's Soccer, there are some players who might not be household names yet, but are compelling prospects in the Canadian game. The team includes names I have spoken about in the past, including Vancouver Whitecaps goalkeeper Marco Carducci and winger Marco Bustos, as well as Toronto FC’s Jordan Hamilton. The squad also include some ex-Toronto FC players in Tristen Borges who is now in Holland with SC Herenveen as well as Gabriel Boakye and Marcus Godinho who were part of the Toronto FC II set up last season but are currently not connected to the club. These call-ups are limited to the amount of players they can include, and with this in mind some players who I would of like to be included are ANB Futbol Academy player Adonijah Ried, who was one of the top goal scorers in League One Ontario. As well as a defender with North Carolina in NCAA D1 Alex Comsia, Vancouver Whitecaps Academy players Gloire Amanada, Terran Campbell, Munir Saleh and Matthew Baldisimo, Montreal Impact Academy players Badreddine Boulajoul and Jimmy Sanon and Toronto FC Academy players Kevin Timachy and Cyrus Rollocks, as well as a number of Canadian Youth players currently playing abroad. Of the current squad here is a quick scouting report for the rest of the squad and players not mentioned above. Pantemis was the starting youth keeper for Lakeshore Soccer Club before being recruited to the Montreal Impact Academy team. He was the back-up keeper for the Montreal Impact U-18 USSDA side in 2014-2015, playing in seven games while starting six. The main keeper of the side this season, Pantemis has played and started in eight games so far this season. He just turned 19 years old, so will need to make the transaction to USL and FC Montreal if he wishes to remain a future goalkeeping option for the Montreal Impact going forward. 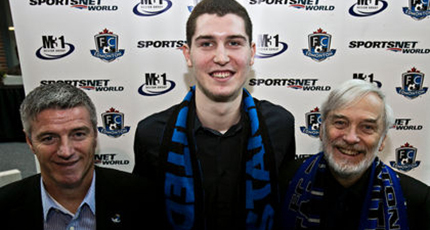 Aleksic was brought out by FC Edmonton management before the start of the 2014 season as an example of the player development pipeline of the club. Since then, the now 19 year old defender has only made one NASL appearance in 2014 as a half-time substitute against Minnesota United. The tall (6'4) center back has represented Canada in the past, making his debut in friendly against Russia in 2014. Marko has mostly been part of the FC Edmonton reserve team, who plays in the Alberta Major Soccer League, and questions are beginning to be asked if like former FC Edmonton player Hanson Boakai, has Aleksic been protected or is it a case he hasn't proven good enough to deserve minutes yet at an NASL level? Meilleur-Giguere played for his hometown club L'Assomption, although was used in a more attacking role as youth player, scoring twelve goals for his Elite U14 side and nine goals for his elite U15. He also played a game for the L'Assomption PLSQ side as a 15 year old. Recruited by Montreal Academy, Meilleur-Giguere become a key player for their USSDA side, playing 24 games for the U16 in 2013-2014 and 19 games for the U18 side in 2014-2015, while also scoring five goals. 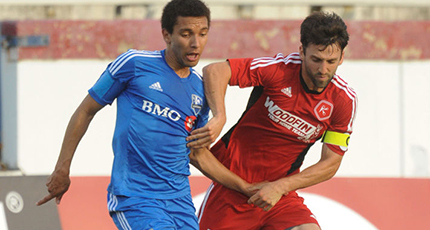 Thomas has been promoted to the FC Montreal side for the 2015 season. Based on his current club, Tomori might be the most interesting player added to the squad. Born in Calgary, Tomori’s family has lived in London with him joining Chelsea at the age of eight. 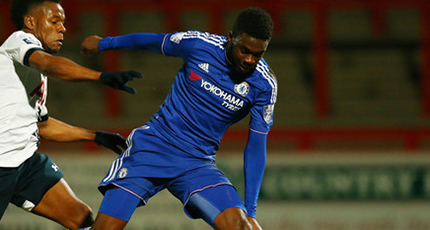 Tomori has worked his way up through the Chelsea Academy and became a key player during the 2014-2015 season. This saw him play 41 games, 27 with Chelsea U18 team, eight games with the U19 and six games with the U21 and win both the FA Youth Cup and UEFA Youth Champions League. Known for being more a right back than a center back, Tomori currently plays in the Premier League U21 league where he scored two goals in 11 games so far this season. 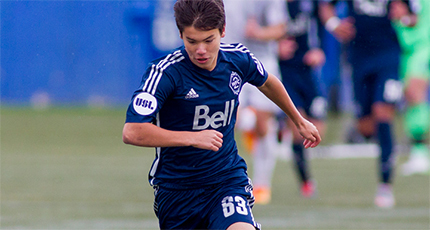 Chung has been one of the more known names in Canadian youth soccer because of his presence on the Vancouver Whitecaps Academy team. Still 17 years old, Chung played in 63 games with the Whitecaps U16 USSDA side and also played twice for Whitecaps 2 in USL. So far in 2015-2016, the fullback has played 13 games with the U18 USSDA side and is expected the play a key role with the USL side this year. Chung also played in six games for Canada in the CONCACAF U-17 Championship as well as being called up to the U20 discovery camp last September. Davis is one of the newer names to the Canadian youth setup, although he has been invited to a number of youth evaluation camps since the age of 13. Alphonso comes from Edmonton playing his youth soccer with the Edmonton Strikers and recently joined the Vancouver Residency Program. After scoring six goals in 12 games with the U16 USSDA side this year, he has been promoted to the U18 team and has scored three goals in four games. Davis was also brought to Arizona by the senior team during this past preseason and was signed to a pro contract for Whitecaps 2. Dominguez have been a name of interest for a number of years playing with Ahuntsic before moving to the Montreal Academy. He played six games and scored a goal during the 2013 CONCACAF U-17 Championship. Marco was a key player for the Impact’s 2013-2014 USSDA U-18 playoff run and played 33 games with the side over two years before being promoted to the FC Montreal. 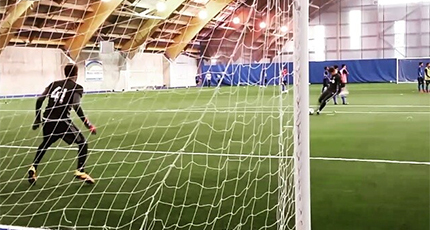 Dominguez played in 23 games for FC Montreal, starting seventeen of them and scored one goal and added three assists. Marco is more of a ball controlling midfielder, although still needs to show he can make a difference if he wants remain a professional player. Over the winter, defender Liam Fraser was given a contract with Toronto FC II. Last season he played on the TFC Academy PDL side, where he scored a goal in six games, while also playing a further 10 games on loan with Toronto FC II. Liam once played for the Vancouver Whitecaps Residency, although at the time the Surrey BC native played in a forward position, playing one game with 2012-2013 Whitecaps U16 USSDA side. Liam has since moved to Toronto and the 18 year old looks to be a key player for Toronto FC II this upcoming season. Ewart was a player I knew a little about before seeing him at the Sigma FC NCAA Showcase last December. From that day I now have him as one of my more exciting Canadian prospects as he dominated the two matches we saw him in almost every aspect of the game. The Scarborough native played with North Scarborough Soccer Club he then moved to Ajax FC before joining Vaughan in League One Ontario. 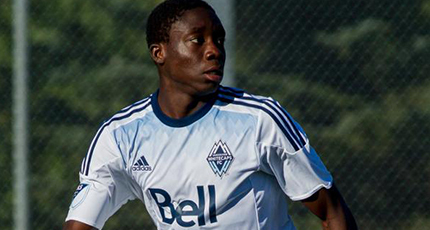 Ewart does have a history with the Vancouver Whitecaps Residency as well as Canada playing in the 2015 U-17 CONCACAF Championship and being called in the U20 Camp. Ewart has foregone college to sign a professional contract with the Pittsburgh Riverhounds in USL. Shome has been on the Canadian radar for a number of years, including being called in the U-16 camps, although hasn't until now been given his chance to prove himself. 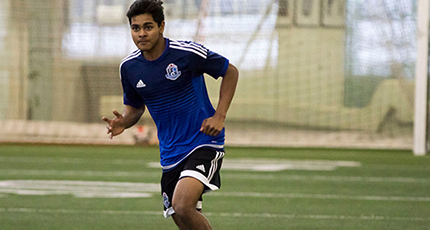 Shome played with the FC Edmonton Academy but left to attend University and was with Alberta during the last CIS season, playing in 12 games, scoring six goals and winning the Canada West rookie of the year. Since, FC Edmonton has signed the 18 year to a professional contract and he has been called in the U20 Canadian National Team. 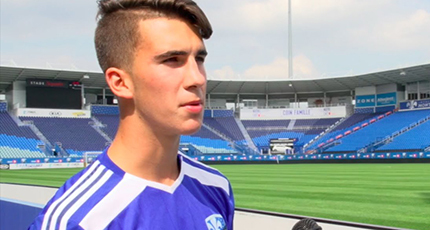 Regarded as the next star of Canadian Soccer, the 16 year old has made a significant impact on Quebec soccer since moving to Canada from Cote d'Iviore. Since playing soccer in Quebec he has dominated, scoring 2 goals in 2 games as a 14 year old with Mont-Bruno, and 29 goals in 20 games as a 15 year old with Paneilinios in the Quebec Elite Leagues. He joined the Impact Academy and scored five goals in seven games last year and has six goals in eight games for the U18 team this year. 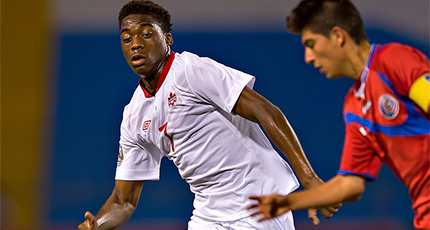 He was named top U-17 player in Canada and recently signed a pro contract with FC Montreal. 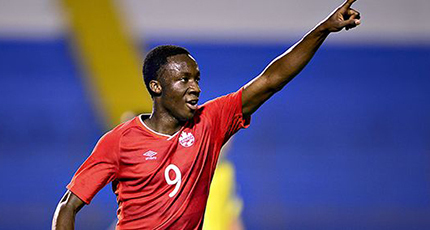 Uccello has been identified as Toronto FC's Marco Bustos or Ballou Tabla and a player that has generated a lot of excitement for people who follow Canada youth soccer. Always mature for his age, Luca previously played for Klienburg-Nobleton, scoring 23 goals in 16 games for the U14 side. He joined Toronto FC Academy and played a key role with Toronto FC II in 2015, with 22 games scoring one goal and adding one assist. 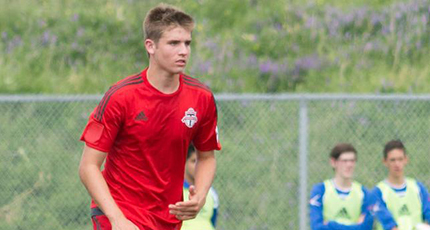 Now 18, Uccello hopes to gain a Homegrown Contract with Toronto FC and will be interesting to see more of him playing with the players he has been compared to. 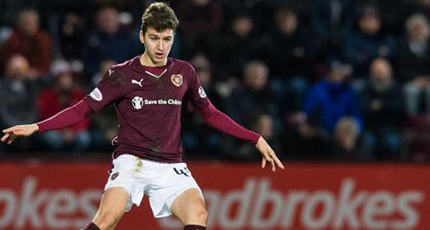 Zanatta has received attention recently for his performance at Hearts in the SPL, with the 18 year old playing in nine games this season and recording two assists. 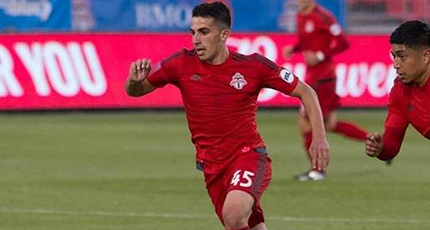 Although Dario has been a Canadian prospect for a few years, first with Gorge SA in his native Victoria, then with the Vancouver Whitecaps residency program. At Vancouver, he scored eight goals in 27 games during 2012-2013 for the U16 team, although then scored 26 goals in 28 games in 2013-2014 before moving to Hearts Academy. Zanatta has been seen more as an attacking midfielder/winger than a striker and might be next player from this side getting his first game with the Canadian Senior Team. Aaron Neilsen is a co-founder of Prospect XI (Prospect Eleven), a scouting network and online magazine dedicated to tracking/highlighting young players that refer to as "prospects" as well as their development pathways both within North America and worldwide. Follow PXI via www.prospectxi.com or on twitter @ProspectXI.